Russell-Colbath House, Passaconaway – The Russell-Colbath House is a 19th-century historic house along the Kancamagus Highway in an area known as Passaconaway in Albany, New Hampshire. Albany was first chartered in 1766 under the name Burton and then renamed Albany in 1833. This old house holds the fascinating story of Ruth Priscilla Russell: the grand old lady of Passaconaway. In the early 1800s, Austin George moved his family to Passaconaway. But tough times would force the George family to abandon the homestead and move to Bartlett in 1815. Their homestead was located just to the east of where the Russell-Colbath House now stands. What became of the George's dwellings is not completely clear. Because of its close proximity to the Russell dwelling and the George family connection, the Russell house is also referred to as the George House. 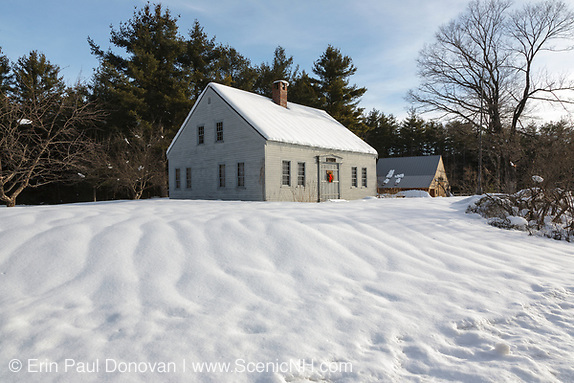 Random History, White Mountains – My work as a photographer has allowed me to explore and document many historical sites in the White Mountains of New Hampshire. And it really has changed the way I view the White Mountains. 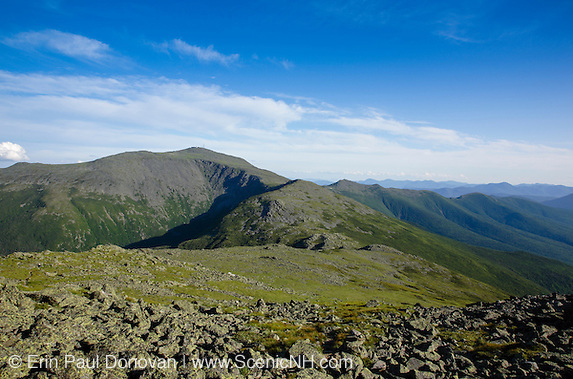 It amazes me that Darby Field made the first ascent of Mount Washington in 1642. And farming settlements and grand resorts were scattered throughout the region in the 1800s. With outdoor recreation at an all-time high in the White Mountains, it is important to create awareness for the region's history. The more history we outdoor enthusiasts know about an area, the more attached we become to the area. And because of this connection, it inspires us to get involved with conservation. And yes, there will always be some that feel the history is insignificant, but that is for another day. Today’s blog article consists of a few random tidbits of history. 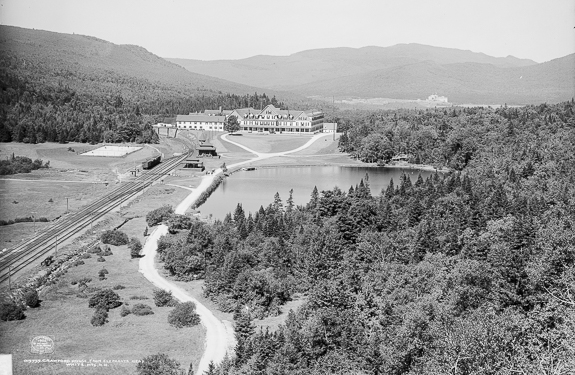 Crawford House, Gibbs Brook Dam – If you are familiar with New Hampshire’s forgotten grand resorts, then you know the historic Crawford House in Carroll. In 1828 Abel Crawford and his son, Ethan Allen built the Notch House near Elephant’s Head. It was destroyed by fire in 1854. The first Crawford House was built in the 1850s and destroyed by fire in 1859. And the second Crawford House, seen above in 1906, was built in 1859. It burned to the ground in November 1977. The history of the Crawford House property is a little confusing because some historians refer to the Notch House as the “first Crawford House” while others do not. Numerous improvements were made to the Crawford House over the years. And at one point Saco Lake was enlarged and deepened (M.F. Sweetser’s 1876 White Mountains: a handbook for travellers guide). The resort was known worldwide, and notable guests include Daniel Webster, Henry David Thoreau, Nathaniel Hawthorne, Ralph Waldo Emerson, Thomas Starr King, and a few presidents. Forgotten Lincoln, New Hampshire – On January 31, 1764, Governor Benning Wentworth granted 24,000 acres of land to James Avery of Connecticut and others. Avery was also granted the town of Landaff on the same day. 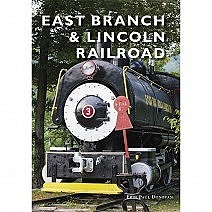 None of the grantees lived in Lincoln, and it is likely that they never visited the township. Lincoln was named after Henry Fiennes Pelham-Clinton, 2nd Duke of Newcastle, 9th Earl of Lincoln. Per the charter, the grantees failed to settle the town in time. And in 1772 the Governor declared the Lincoln charter a forfeit and re-granted Lincoln, along with most of Franconia, to Sir Francis Bernard and others. The name of the new township was Morristown in honor of Corbin Morris, one of the grantees. 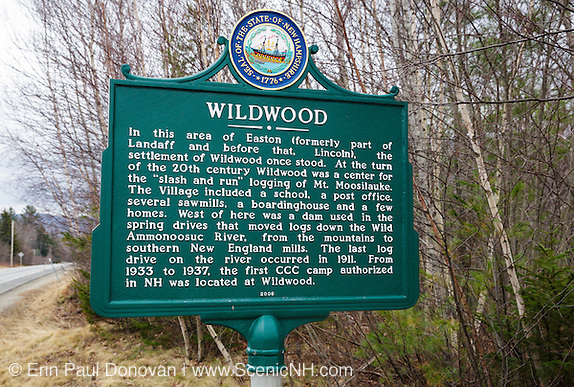 Forgotten Woodstock, New Hampshire – Chartered in September 1763 by Governor Benning Wentworth, the town of Woodstock was first incorporated as Peeling. The charter, consisting of 25,000 acres, was granted to Eli Demerit and others and was divided into ninety-eight equal shares. In 1771, the land was regranted to Nathaniel Cushman and others and divided into seventy equal shares and renamed Fairfield. Then in 1773, it was regranted as Peeling back to some of the original proprietors. The name was changed to Woodstock in 1840. Today the mountainous landscape of Woodstock is picture perfect. And the village of North Woodstock gets so much recognition that you would think North Woodstock received its own charter. But it didn’t and is part of the Woodstock charter. 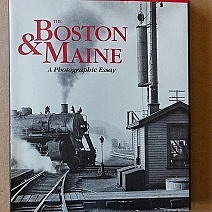 Much of the town's history is well known, but some of it has been forgotten. And this blog article focuses on a few of the forgotten historical features of Woodstock. 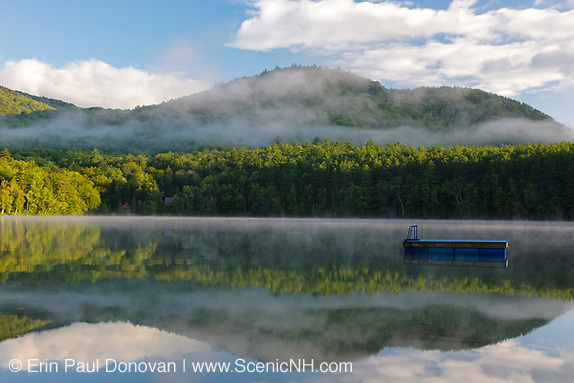 Forgotten White Mountains – When most think about the New Hampshire White Mountains, the beauty of the region first comes to mind. 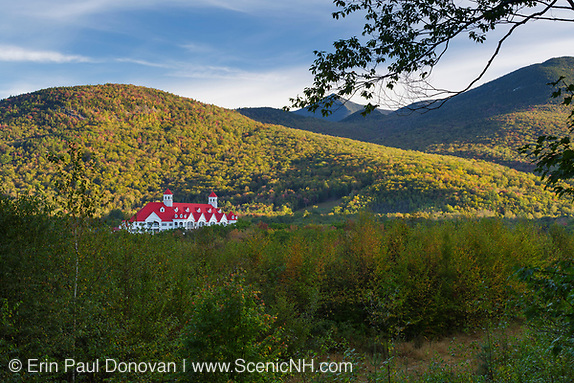 The mighty Mount Washington rules the Presidential Range and keeps visitors of the area busy for hours. And during the winter months, ski areas offer an unforgettable view of the mountains blanketed in snow. 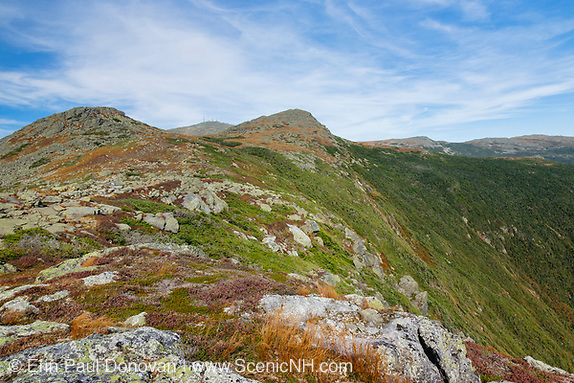 The White Mountains are an outdoor lover’s paradise. What I just described is tourism (camping, fishing, hiking, skiing, etc.) 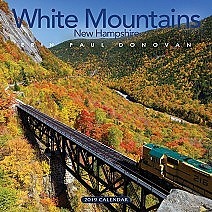 and it has been a big part of the White Mountains since the early days. And it has been said the historic August 1826 Willey landslide tragedy in Crawford Notch had a connection to the rise of tourism in America. Now in the 21st century, historical sites are of great interest to many, so today I am going to share a few photos of the forgotten White Mountains.